TWIN FALLS—After nearly a century of a life of enviable health and contentment, Rowena Jelaco died quietly at St. Luke’s Magic Valley Medical Center on Friday, March 29, 2019, after a very short illness. Three months short of her 97th birthday, this was her first stay in a hospital in illness. Rowena was preceded in death by Nick, and her sister Shirley (Robert) Fristo. Rowena’s ashes will be interred next to Nick’s, with his family and some of their oldest friends, in the Mountain View Cemetery in Rock Springs, Wyoming. She is survived by her two children, Nickola (Art) Jones of Hansen, Idaho, and Ron (Courtney) Jelaco of Hailey, Idaho; Nickola’s two daughters, Jaime Stam of Hailey, Idaho, and her two daughters, Hailey and Elizabeth, and Amanda Byrd of Portland, Oregon, and her daughter, Jentry; and Ron and Courtney’s daughter, Louisa. Rowena requested that there be no services upon her death. Instead, her family will join her dear friends at Gleneagles Senior Community in Twin Falls for a social lunch on Wednesday, April 17, 2019. Rather than investing in flowers, Rowena would have preferred that donations be sent in her memory to The American Macular Degeneration Foundation. Born October 15, 1929, in Moore, Idaho, to William Wallace and Adella Marie Sorenson King. Vern was the second of five children. Two years later, the family moved to Rupert where Vern spent the rest of his growing-up years. Helping on his family farm, Vern learned to love work at a young age. This was a trait he would carry with him his whole life and one of his most-defining characteristics. Vern graduated from Rupert High School in 1947. He then attended Ricks College and Utah State Agricultural College. Vern served an honorable mission for the Church of Jesus Christ of Latter-day Saints in the Great Lakes Mission from 1949-51. Upon his return, Vern met his sweetheart, Alyce Bair, in Sunday School. Their first date was to a Gleaner's dance and banquet, and a courtship ensued after that. During that time, Vern served his country in the United States Army. While stationed at Camp Pendleton, California, in the hospital recovering from a severe hand injury, he painstakingly used his left hand to pen a proposal of marriage to Alyce back in Idaho. They were sealed in the Idaho Falls Temple on March 25, 1953. Eight days later, Vern shipped out for Korea, and it was 11 months before they were reunited. They raised six children (five to adulthood): Robert (Renee) King of West Jordan, Utah; Ronda (Kent) Dalton of Tucson, Arizona; Mark (Kitty) King of Oakley, Utah; Marla (Mike) McLeod of Kennesaw, Georgia; and Beverly Kinsey of Price, Utah. Vern was preceded in death by his daughter Bernice, who passed away as a fun-loving, sweet 8-year-old. She and Vern shared a special bond, and the family is comforted knowing they had a joyous reunion. Vern spent much of his life farming his homestead in Idaho. He also worked as a postal worker for 18 years. Upon retirement, he and Alyce served a mission to Nauvoo, Illinois from 1991-92. They relocated to Oakley, Utah in February 2007 to be closer to family. Vern's quiet, gentle nature was a magnet for those of all ages; everyone was drawn to him, especially children. One of his greatest joys was his posterity: 27 grandchildren and 59 great-grandchildren. He loved to attend his grandchildren's sporting and other events, and he was no fair-weather fan! Rain or shine, you always knew grandpa would be there—with a handful of hard candy in his pocket. He and Alyce also enjoyed traveling, with Red Fish Lake being a family favorite. The funeral will be held at 2 p.m. Friday, April 12, 2019 at The Church of Jesus Christ of Latter-day Saints, 1224 W. State Road 32, in Oakley, Utah, where friends and family may call from noon to 1:45 p.m.
A graveside service will be held at 1 p.m. Saturday, April 13, 2019 at the Rupert Cemetery, 450 N. Meridian, Rupert, Idaho, with military rites provided by the Mini-Cassia Veterans Group. Juliet Gill was born April 3, 1939 in Buffalo, New York, to Harold and Derna (Petrucci) Williams. Juliet completed schooling with a high school education. She worked as a full-time homemaker and a part time nurses aid. Juliet’s wishes were cremation with no formal services. Memories and condolences may be shared with the family on Juliet’s memorial webpage at www.farmerfuneralchapel.com. Gordon Kaye Lee, 85, of Kimberly, Idaho died Sunday March 24, 2019 at St. Luke’s Magic Valley. He was born June 7, 1933 in Manard, Idaho at the family home on the Camas Praire near Fairfield. On July 3, 1953 Gordon married his one and only love, Alice Ray Adams. Together they raised five children. Gordon served in the U.S. Army during the Korean conflict from 1952 thru 1956. After returning home he worked in a gold mine for a short time, then began working as a diesel mechanic for McVey’s, later with Magic Valley International Truck Service. In 1972 Gordon started a 33 year career with P.S.I. as their head mechanic, before reluctantly retiring in 2005 at the age of 72. Gordon is survived by his children Gordon K. Lee Jr., Alan (Gail) Lee, Yvette (Kerry) Coates, Biff (Liz) Lee, Garry (Gayla) Lee, 14 grandchildren and numerous great grandchildren. He was preceded in death by his parents, wife Alice, two sisters, two brothers and one daughter-in-law. Kenneth Rosel Hale, 63 of Oakley, Idaho passed away April 2, 2019 from a sudden illness at Saint Alphonsus Regional Medical Center in Boise, with his brothers near his side. Kenneth was the second son of Vernon Kent Hale and Helen Warwood Hale, born on August 14, 1955 in Burley, Idaho. He was raised mostly in Oakley in the house built by his great-grandfather, where his own father was raised, and the house where he spent his final days. Throughout his life, Kenneth worked with his father, stonemason Kent Hale at many locations around the Magic Valley. He also worked for the City of Oakley, was a lifeguard at the swimming pool, and operated a stone saw for Northern Stone Supply. He also gave of his time and talents to the Oakley Valley Arts Council (OVAC) where he helped build sets for many productions over the years. Kenneth is survived by brothers Dwight Kent Hale, Brent Tracy (Lisa) Hale, Nephews; Mikel (Kami) Hale, Konner Hale, Nieces; Kazya Evans (Zack Baker), and Savanna Hale. In Kenneth's honor, memorial services will be held at 11 a.m. Saturday, April 13, 2019 at the Howell's Opera House, 160 Blaine Avenue in Oakley. Kenneth's family will greet friends at a gathering on Friday, April 12 from 7 to 8 p.m. at the Morrison-Payne Funeral Home, 321 East Main Street, Burley, ID. Special thanks to the Oakley Quick Response Team members, St. Luke's Magic Valley Medical Center, Twin Falls, and St. Alphonsus Regional Medical Center, Boise. In lieu of flowers, please consider a donation to Oakley Valley Arts Council in Kenneth's name. OVAC, PO Box 176, Oakley, ID 83346. Or call 208-677-ARTS. BURLEY – Monica May Rowe was born into the loving Gillette family on April 27, 1992, in Burley, Idaho, and was raised in the community of Declo. Her childhood was spent playing sports and spending time in the outdoors. Monica enjoyed riding bikes, swimming in canals, road trips to hike in national parks, and snowmobiling near Yellowstone with her family. She enjoyed playing soccer, basketball and golf in junior high and high school. She was also named an all-conference player for her outstanding performance as a high school soccer athlete. Monica graduated from Declo High School in 2010. Gifted in graphic design, she followed her passion for art and knack for computers to study at the Art Institute in Salt Lake City, Utah, and later at College of Southern Idaho. While continuing her education through Western Governors University, she had been working as a valuable member of the family agricultural business. Monica was thoughtful and kind-hearted person, which was apparent in the hand-crafted Christmas and birthday gifts she would share with friends and family. She made everyone around her smile often, especially after a good-natured prank. Family was everything to her, and she especially loved her nieces and nephews. Monica married her childhood sweetheart, Adam Rowe of Declo in 2013, whom she loved with all her heart. Monica and Adam have been best friends their entire lives—from their earliest memories, through dating and marriage, moving across states, and supporting each other through jobs and life’s challenges. She also shared her heart with her pets: cats, dogs, sugar gliders, guinea pigs, ferrets, snakes, tarantulas, parakeets, hermit crabs, and hamsters, to name a few. Our beloved wife, daughter, sister and aunt entered into the care of Heavenly Father on Tuesday, April 2, 2019. She is survived by her husband, Adam Rowe; her parents, Lawrence Gillette and Roxanne Gillette; her siblings, Tyler Gillette, Laura (Nick) Como, Melissa (Kiley) Koski, and Jason Gillette; her parents-in-law, Jerry (Lynette) Rowe; her siblings-in-law, Julie Rowe, Allen (Heather) Rowe, Kevin (Susan) Rowe, Loren Rowe and Tara Rowe; eight nephews; nine nieces; and one grand-nephew. The funeral will be held at 11 a.m. Wednesday, April 10, 2019 at The Church of Jesus Christ of Latter-day Saints – Declo Stake Center, 213 W. Main St., in Declo, with Bishop Wayne Hurst officiating. Burial will follow at Declo Cemetery. Friends may call from 6 to 8 p.m. Tuesday, April 9, 2019 at Rasmussen-Wilson Funeral Home, 1350 E. 16th St., in Burley, and one hour prior to the funeral service at the church on Wednesday. BURLEY – It is with a heavy heart that the family of Robert Eugene Strout (Bob) would like to make known his passing after a brief illness on March 30, 2019, at the age of 91. Bob was an amazing man and a wonderful husband, father, grandfather, great-grandfather and great-great-grandfather. He will be missed immensely by family and friends. Bob was born October 6, 1927, to Stephen Leroy Strout and Candace Francis Ely Strout in Arlington, Nebraska. He spent his early childhood in Nebraska and at the age of six, Bob, his mother and his older sister relocated to Burley. Bob was a United States Navy veteran. At the age of 16, he enlisted and fought in World War II. After the war he attended an electronics school in Philadelphia and upon completion he moved back to Burley where he met and married Dorothy Mae Ramsey. Bob and Dorothy moved to California and settled into their longtime home in Livermore. It was there that Bob began working at Sandia Laboratory where he worked for 29 years before retiring in 1989. After the death of his wife, Dorothy, in 1974, he met and married Maurine Fawn Cardon in 1976. When they both retired in 1989, they moved to Springville, Utah. After Maurine’s death in 2015, Bob had a house built in Burley and moved into it in 2016. In addition to his first wife, Dorothy, and his second wife, Maurine, he was preceded in death by his parents; a daughter, Barbara Ann Strout Lowry; and his sister, Francis Helen. He is survived by his children, Cheryl Strout, Rob (Tammy) Strout, Stephen Strout, and Wendy (George) Walker; his stepchildren, Marie (Terry) Smith, Julie (Wayne) Johnson, Carla (Dell) Smith, Brent Gillette, and Lawrence Gillette; 34 grandchildren; 39 great-grandchildren; and three great-great-grandchildren. The funeral will be held at 2 p.m. Saturday, April 13, 2019 at The Church of Jesus Christ of Latter-day Saints—Burley Idaho West Stake Center, 2420 Parke Ave., in Burley. Burial will be in Gem Memorial Gardens with military rites provided by the Mini-Cassia Veterans Group. Friends may call from 6 to 8 p.m. Friday, April 12, 2019 at Rasmussen-Wilson Funeral Home, 1350 E. 16th St., in Burley, and at the church on Saturday, from 1 to 1:45 p.m.
Dad was born March 11, 1933, in Tempe, Maricopa County, Arizona, the son of Marvin and Phyllis (Smith) Sanders. He had three brothers, Marvin, Frank and Phil. The funeral will be held at 11 a.m. Saturday, April 13, 2019 at The Church of Jesus Christ of Latter-day Saints—Oakley Stake Center, 355 N. Center Ave., with Bishop Wayne Lind officiating. Burial will be in Oakley Cemetery with military rites provided by the Mini-Cassia Veterans Group. Friends may call from 6 to 8 p.m. Friday, April 12, 2019 at Rasmussen-Wilson Funeral Home, 1350 E. 16th St., in Burley, and at the church on Saturday, from 10 to 10:45 a.m.
Jacquelyne Mary Christopherson, age 87 of Payson, Utah passed away April 5, 2019 at her home in Payson, UT. Arrangements are pending and will be announced by Parke’s Magic Valley Funeral Home of Twin Falls, Idaho. 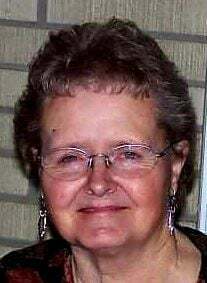 Deanna J. Hakkila, 79 of Twin Falls, passed away April 5, 2019 at her home in Twin Falls. Funeral arrangements are under the direction of Reynolds Funeral Chapel. RUPERT - There will be a viewing held today from 5 to 7 p.m., at Rasmussen-Wilson Funeral Home, 1350 E. 16th St., in Burley. A viewing will also take place Monday, April 8, 2019 from 10 to 10:45 a.m. prior to the funeral at 11 a.m. at the Rupert Stake Center, 7th Ward, 324 E. 18th St., in Rupert. A graveside service will follow at 3 p.m. at Aberdeen Cemetery. FILER - A funeral service will be held on Monday, April 8, 2019 at 2 p.m. at the Filer Nazarene Church located on Yakima Ave, Filer, ID 83328. PAUL - Funeral at 11 a.m. Tuesday, April 9, 2019 at the Hope Community Church, 25 N Fourth St in Paul. Funeral arrangements are under the care of Rasmussen-Wilson Funeral Home in Burley. BURLEY – The funeral will be held at 11 a.m. Wednesday, April 10, 2019 at The Church of Jesus Christ of Latter-day Saints – Declo Stake Center, 213 W. Main St., in Declo. Friends may call from 6 to 8 p.m. Tuesday, April 9, 2019 at Rasmussen-Wilson Funeral Home, 1350 E. 16th St., in Burley, and one hour prior to the funeral service at the church on Wednesday. RUPERT - Funeral services will be held at 2 p.m. Friday, April 12, 2019 at The Church of Jesus Christ of Latter-day Saints, 1224 W. State Road 32, in Oakley, Utah, where friends and family may call from noon to 1:45 p.m. A graveside service will be held at 1 p.m. Saturday, April 13, 2019 at the Rupert Cemetery. Arrangements have been entrusted to the care of Rasmussen-Wilson Funeral Home of Burley.